The region of Catalonia has been in the news a lot recently with thousands joining a rally on the regions national day last month to demand a referendum on independence and the recent regional elections being used by pro secessionists to further demonstrate their beliefs. Having just been treated to a whirlwind tour showcasing some of the best cycling this beautiful area has to offer, I can see why the Catalans are so proud of their region and keen to wrest back control from Spain – it’s bloomin’ marvelous in ever-so-many ways. 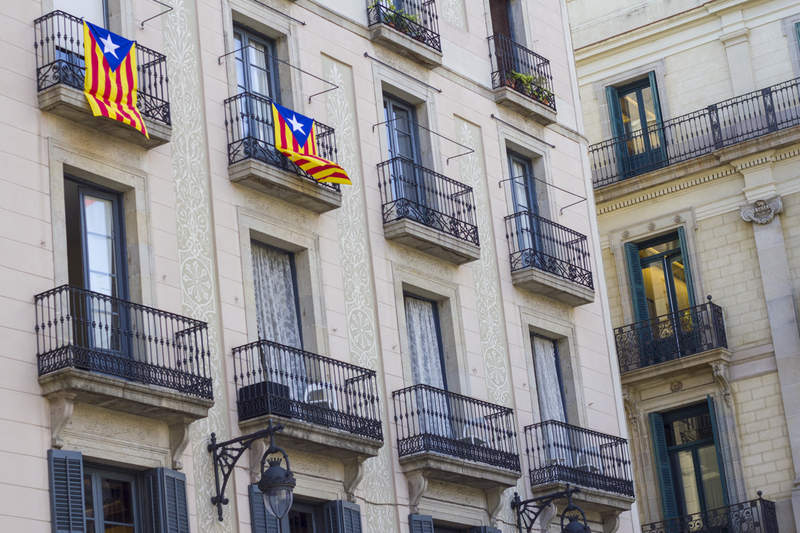 Comprised of four provinces, Barcelona, Girona, Tarragona and Lleida, Catalonia’s 7.5 million citizens inhabit a region roughly the size of Belgium that includes stunning coastline, forests, lakes and peaks, along with cosmopolitan cities, medieval villages and more culture than you can shake a stick at. With just five days to see as much as I could, I was faced with a bit of a challenge. 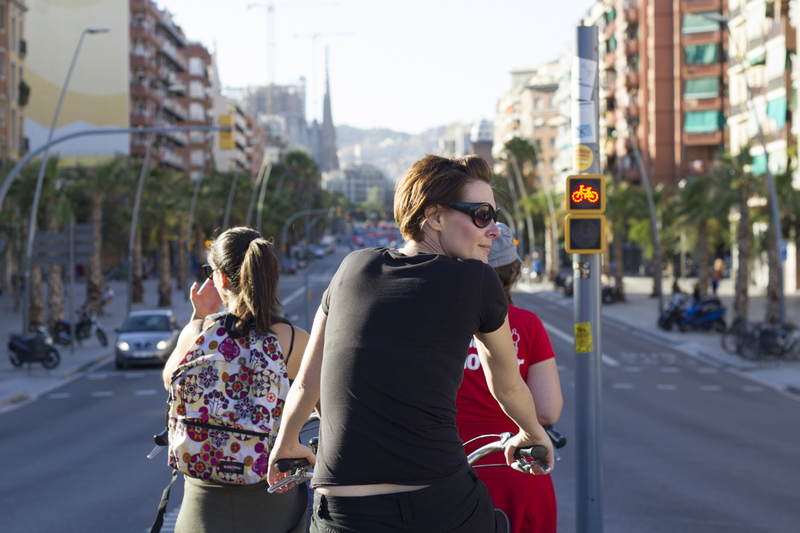 I kicked things off in Barcelona with an organised group bike tour that took us through El Ravel (where I stayed on my last trip) and the Gothic Quarter, down to Barceloneta and the beach and along the seafront to the Olympic park. We pedaled up to the Sagrada Familia before checking out a couple of Gaudi’s buildings on the way back to the bike rental company, our guide giving us a thorough history lesson en route. 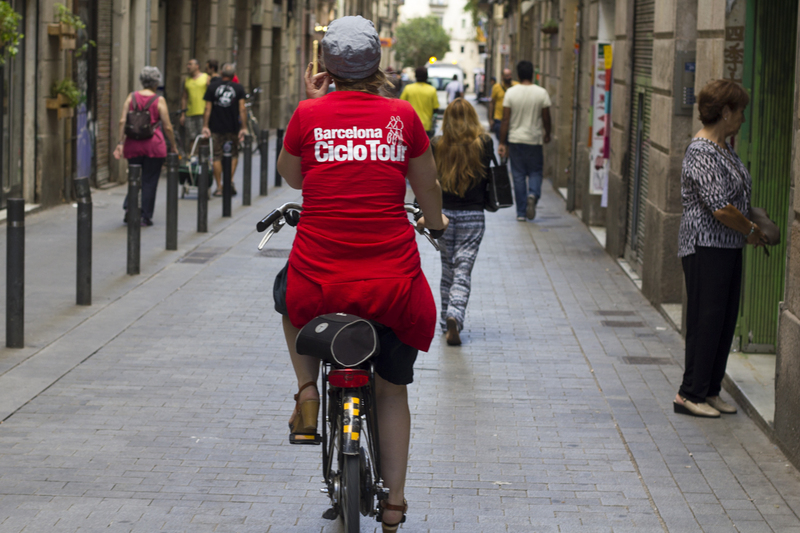 I always find that cycling is the best way to get a feel for a new city; I’d definitely recommend a tour like this if you’ve never been to Barcelona. Lovely though Barcelona is, we couldn’t stick around for long if we wanted to see more of Catalonia, so the next morning we took a transfer to the Costa Brava. 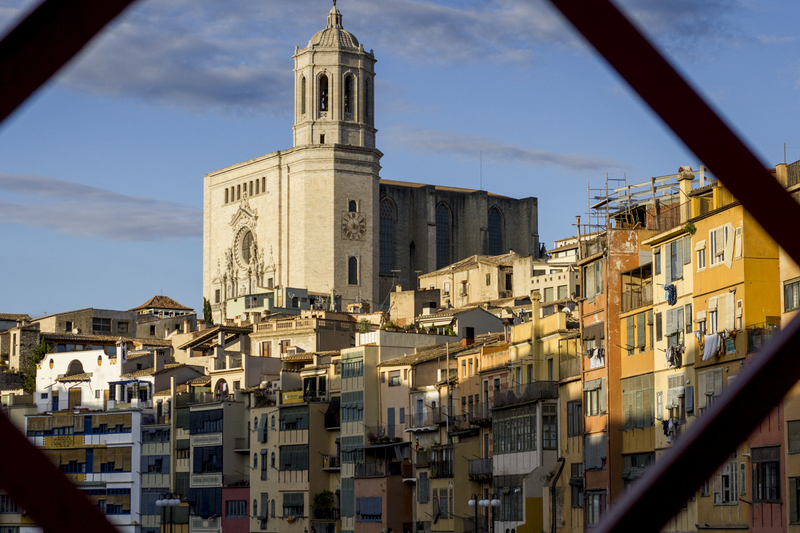 Part of Girona, the Costa Brava packs in three natural parks, mile after mile of stunning beaches, medieval villages and a whole lot of history. We were on a mission to explore as many of these as we could by following a route inspired by the travels of Christopher Columbus, who just might have started his oversees explorations from the royal village of Pals. 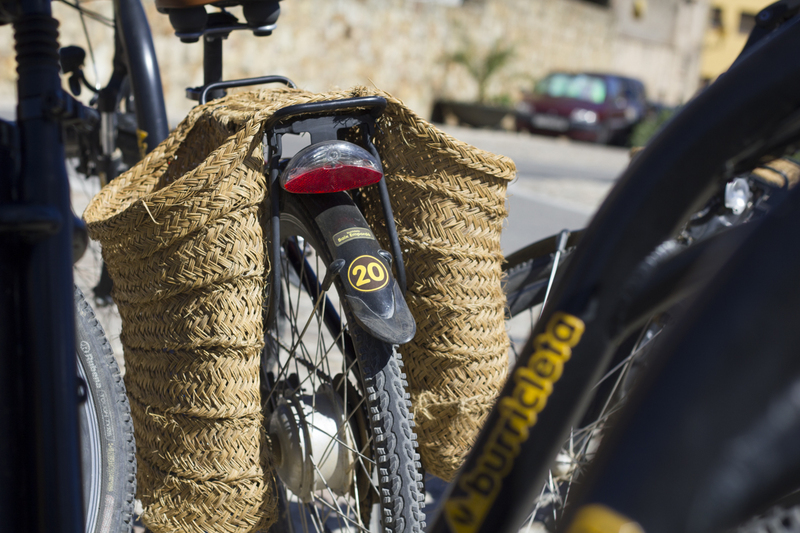 A 25km cycle route and walking path runs from Gualta to the seaside town of Begur, via Gualta and the aforementioned Pals, much of it either along flat, gravel cycle paths through orchards or quiet, rural roads. Not being physically impaired in any way, I wasn’t that stoked on being given an e-bike to ride and kept gazing enviously at a group of sixty-year-old cycle tourists we twice ran into along the way, but grumbling about power assisted bikes aside, it was a lovely route; really easy going with great scenery. Pals occupies the top of a small hill on the plains and is ever so attractive and well worth a visit; clutches of brightly coloured flowers tumble down the walls of the houses and it’s all cobbled streets, ramparts and towers from which you can see all the way to the coast. 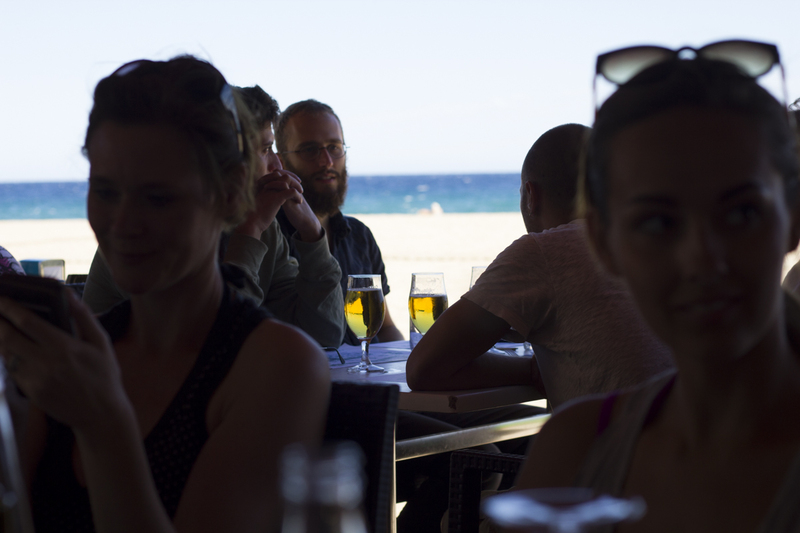 After a brief stop we continued on our way to the seaside town of Begur where we walked along the beach and dined (or lunched) on a plates of garlicky clams, deliciously plump mussels and a fantastic seafood paella whilst gazing at the remarkably blue sea – heavenly. 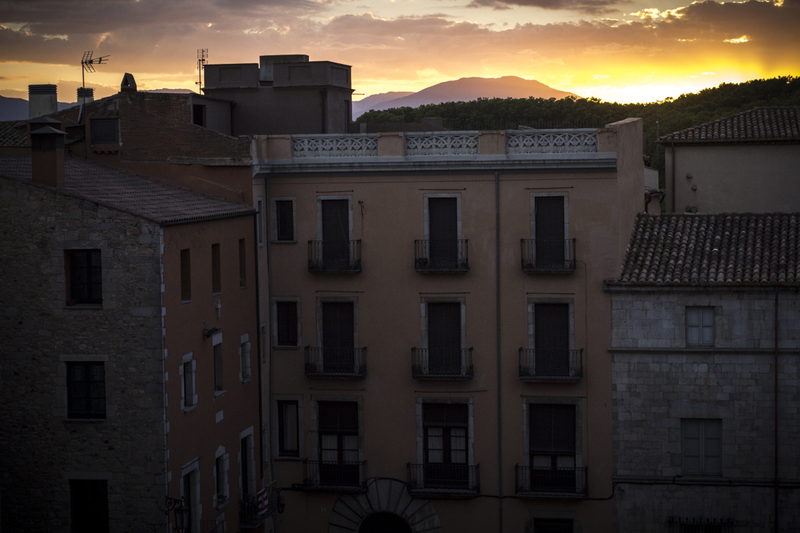 Our next destinaion was somewhere I’d been wanting to visit for a long time – Girona. 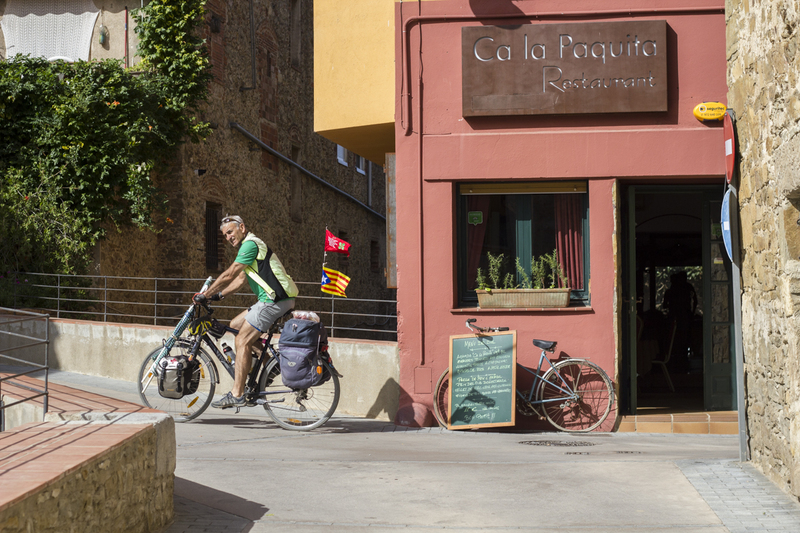 The city is home to many pro tour cyclists, with teams often basing themselves there thanks to its quiet roads, warm weather, proximity to Barcelona (around an hour), and great routes in the Pyrenean foothills. It has a strong cycling social scene, with the accompanying cool coffee shops for one to hang out in post ride, and plenty of places to grab a drink whilst comparing tan lines. On one bank of the Onyar river, Barri Vell, the old part of the city, is packed with history – Girona has been ruled by so many different people, from the Romans, to the Visigoths and the Moors. Quite apart from the cycling connection, I fell in love with Girona straight away; it’s so picturesque and ridiculously romantic. It’s also home to the best ice-cream I’ve even eaten – check out the amazing flavours at Rocambolesc – I had coconut and violet gelato with the most incredible toppings! 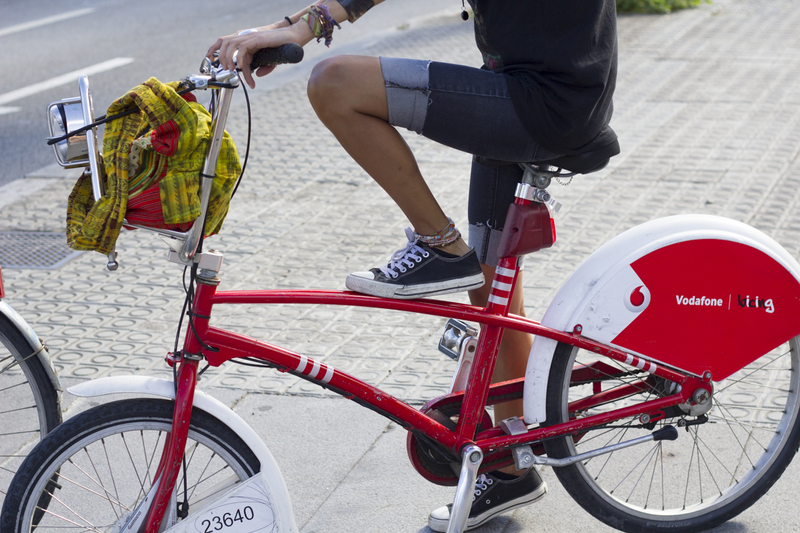 The next day we hopped on some (thankfully non-electric) bikes to ride the Green Ways or Vies Verdes to the seaside resort of Sant Feliu de Guixols. The green way runs along an old railway line, and as such is entirely flat and traffic free. It’s not ideal for road bikes – better suited to a mountain bike, cyclocross bike or hybrid really, so it’s superb for a relaxed ride and would be great if you had kids in tow. We were guided by a local rider who told us that his cycling club regularly hold moonlit rides down the path to the beach where they have a party before riding back – no doubt in less of a straight line! We rode from Llagostera rather than Girona itself, finishing up by the sea where we all dove straight in to the pleasantly warm water. I’m very much looking forward to repeating the trip with my husband but from Girona. 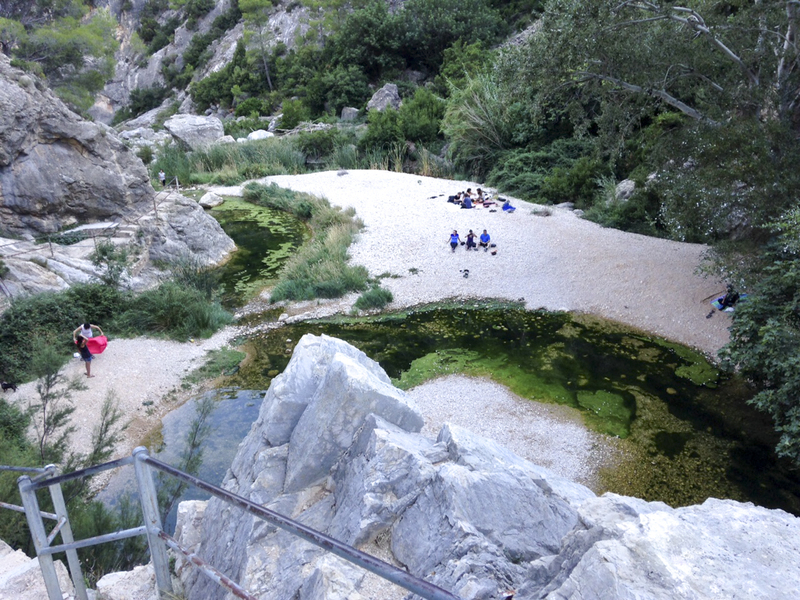 The next area I was shown around was Costa Daurada, in Tarragona. 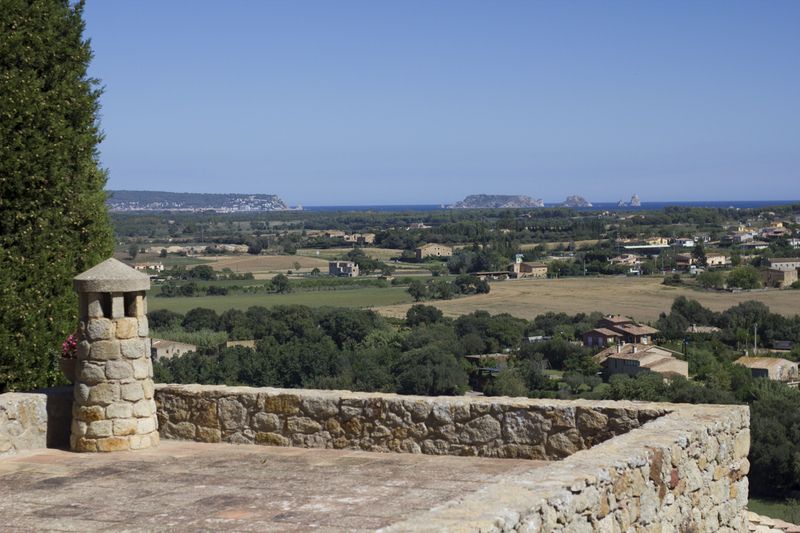 Like much of Catalonia, the area is blessed with an abundance of glorious beaches, splendid historical towns, mountains, vineyards and olive groves. From what I understand, it’s where many Spanish families head with their buckets and spades. 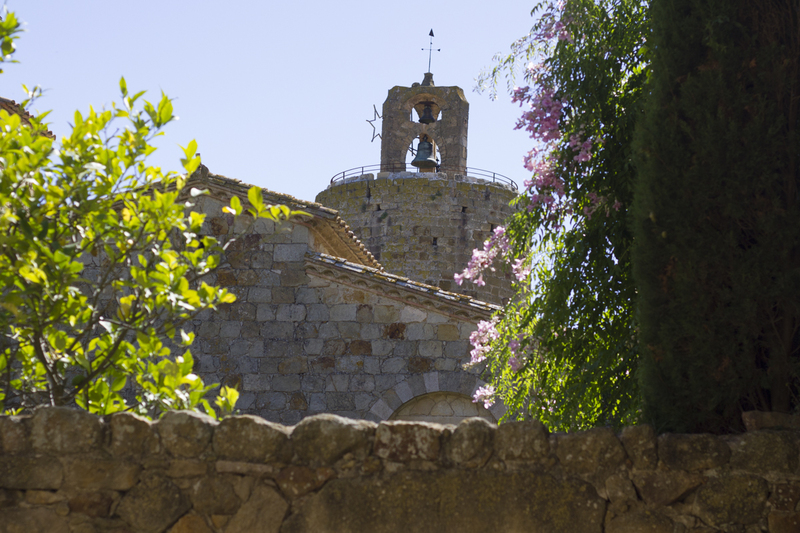 Away from the coast, the Ruta Del Cister links the three counties of Alt Camp, Conca de Barberà and Urgell, all of which have a Cistercian monastery, namely Poblet, Santes Creus and Vallbona de les Monges. We visited the monastery of Poblet – still in use and a UNESCO world heritage site – and attended Vespers to hear the monks chant in the 12th century church. It was quite an experience, though I spent much of the time wondering at what point these chaps decided to be monks and why. Did they grow up wanting to be monks? Did something happens that caused them to make this pretty radical choice? To cut a long story short, it was a pretty interesting experience and the architecture was stunning, so I won’t spoil it by going into what I think of organised religion. Each to his own. 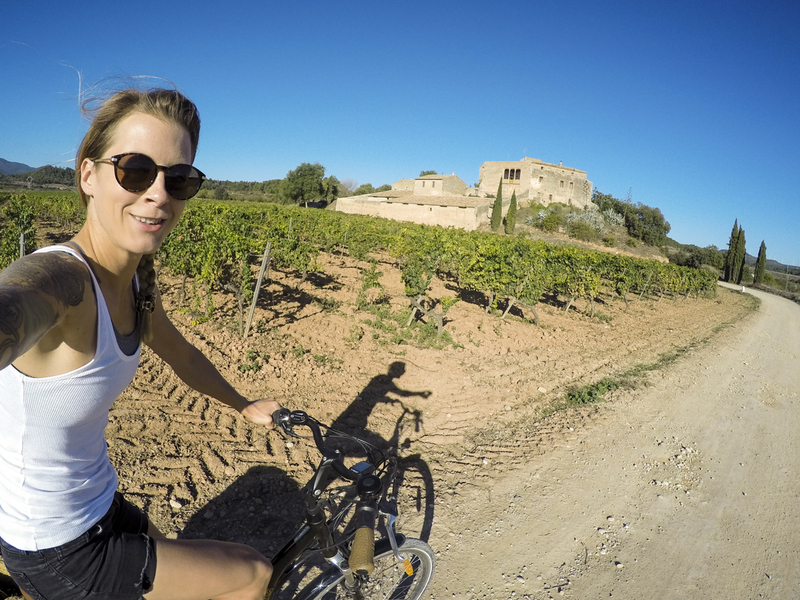 We rode along the Ruta Del Cister from Poblet to Montblanc, a walled medieval city with 30 towers making up its fortification. Though we didn’t spend a huge amount of time there, the main square, Placa Major, seemed like a rather nice place to hang out, particularly as there are two exceptional looking patisseries just around the corner. Lunch was at the fantastic Cal Jordi, a restaurant that looks rather ordinary but turns out to serve amazing food, including some great veggie-friendly options. Jordi is a great host – fun, jovial, down to earth and quick to provide a drink! I definitely recommend a visit if you find yourself in Montblanc. 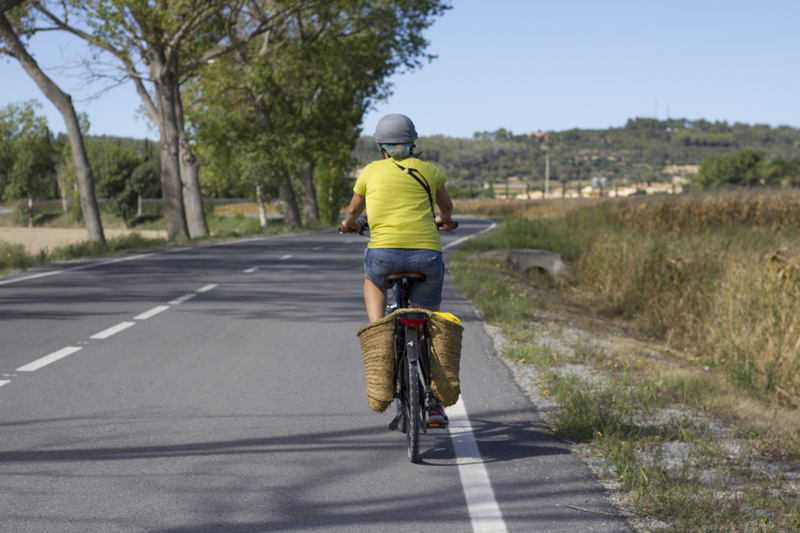 Cycling on the Ruta Del Cister was mainly on gravel cycle paths and quiet roads through vineyards. Some of the inclines with loose, dusty surfaces slightly scared the more novice riders so be warned if you’re taking nervous cyclists with you. 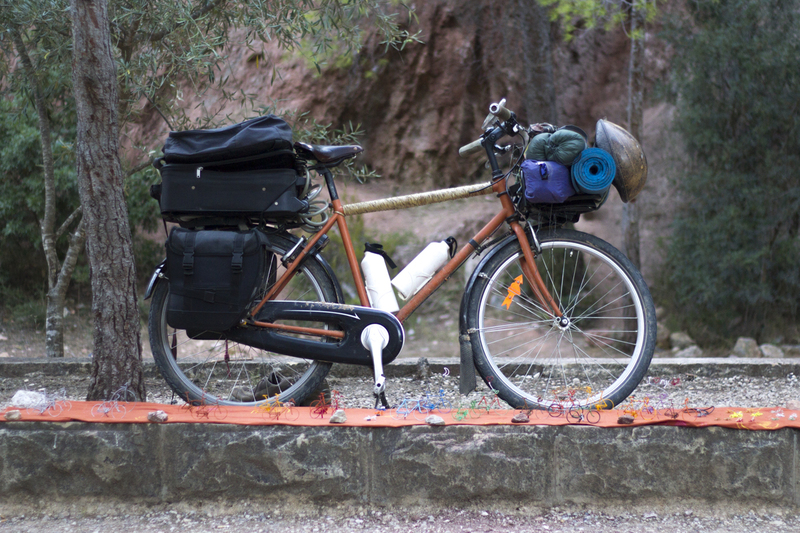 It’s ideal terrain for the newest fad, the gravel bike, and as the Ruta Del Cister (apparently) forms part of a large network of signposted trails that run in all the way from France, I think I nice little adventure could be had. I’ve been unable to track down much more information about the extended route. If you have any, would you mind sharing it in the comments below? de Zafán which has now been converted into a Green Way, or traffic free walking and cycling route. 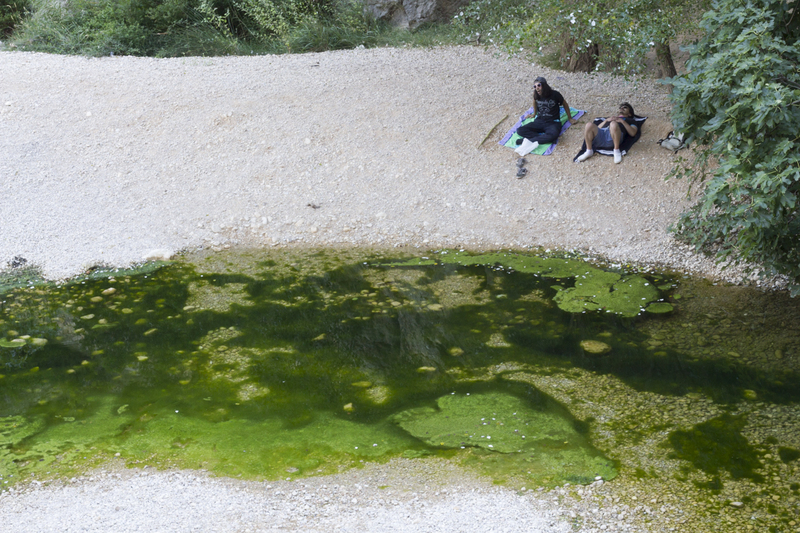 The V.V Val De Zefan begins in the Baix Ebre region in Tortosa and cuts a swathe through Terra Alta. The views left me stunned – the mountains of the Els Port National park are quite unique and unlike anything I’d expected to see in Spain – they more closely resemble peaks I’ve seen in the States than anything I’ve seen in Europe before. 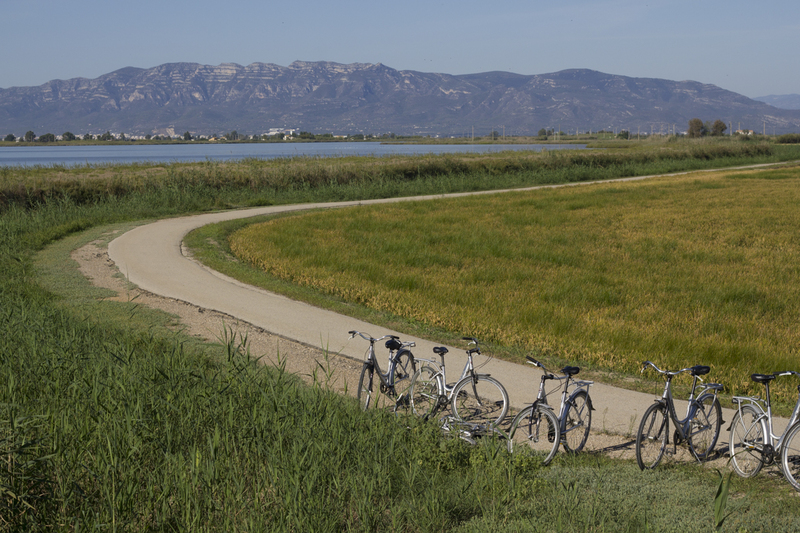 Carry on along the old Vall de Zafan railway track and eventually you arrive in the Ebre Delta National Park, which has a totally different feel with its vast reservoirs, paddy fields and unspoiled beaches. 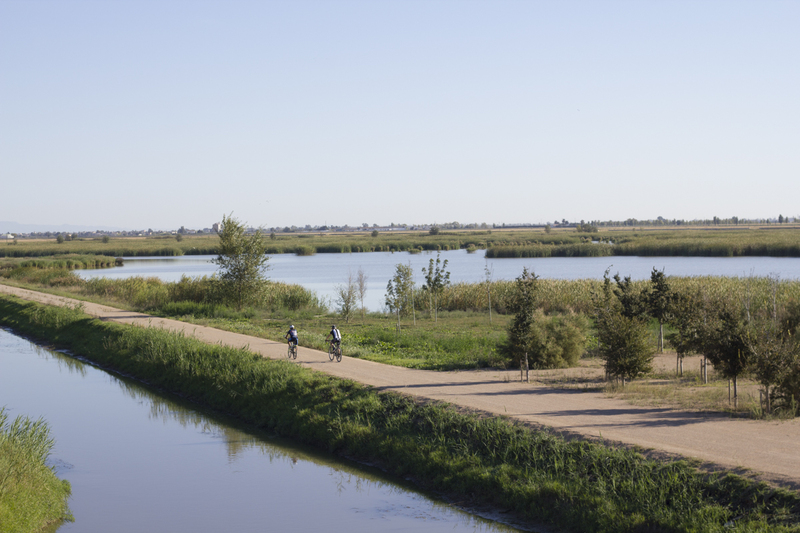 As the area is flat as a pancake and there’s little traffic, I imagine it would be great for blasting along on a Sunday morning ride, keeping an eye out for the numerous birds such as flamingos and herons who call this place home. As it was, we had a little potter in the sunshine, before enjoying another fab meal, this time at Restaurant Estany at Lo Mas De La Cuixota. 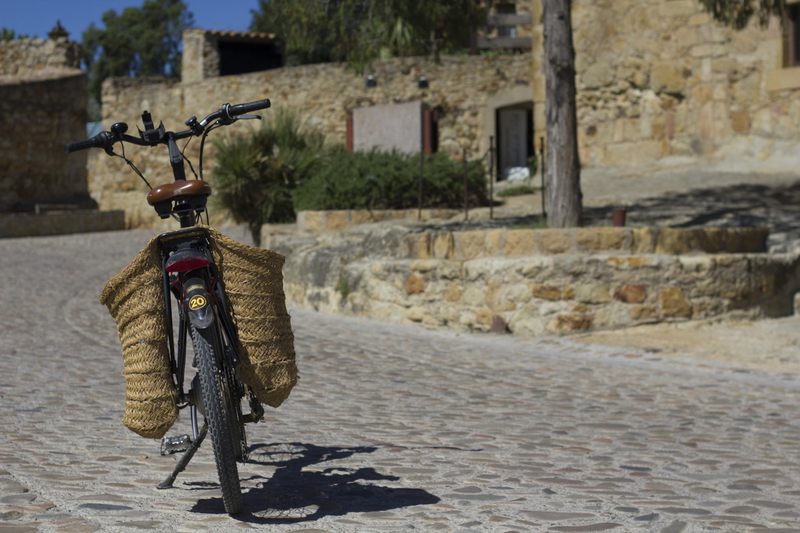 So should you be looking to Catalonia when you book your next cycling holiday? Have I been suitably swayed by the tourist board, despite being made to ride an e-bike? Well, quite simply, yes, because the cycling in Catalonia is excellent, and not just for pros either. They didn’t even need to butter me up, they simply showed me the cycling and left me to fall in love with the place – obviously I’m going to like an area that allows you to ride from the mountains to the sea bathed in sunshine, where you can pick from road bikes, mountain bikes and perfectly tailor your itinerary to your ability. The only thing I would say – I need to go back but with a road bike and a bit more time… so if you’re reading this guys, erm… can I come again? Last year I was lucky enough to being able to do a job in St Feliu for a few days. And I was able to visit Barcelona for a day and to take a cheap loaner bike out along the coast… Best couple of days in a while. I’m planning on going back next year, maybe even do the whole trip by bike. I’ve heard the coast road is excellent, I’d like to ride that myself. Hope you make it out there next year! Hope I do too actually! You’re got at this travel reporting stuff. Nice article and photos. Thanks for the kind words. I had such a great time in Catalonia, I really want to return.